Ready to Move? Come Take a Look! Come discover the best in modern living, grounded in a place where kids still play outside, adventure awaits around the next bend and a rich history of family tradition begins again. What other community in Wake Forest has a nature-made 15-acre lake as an amenity? Holding Lake is a perfect place to kayak, skip stones or exercise. Forget leaning in, lean back in adirondack chairs watching the sun set over the lake. Holding Village is among the best new home communities around. When it comes to new homes in Wake Forest, Holding Village is proud to offer the best in modern living and outdoor fun in a setting near - but away from - the Triangle and Raleigh Metro area. Holding Village is a 1GB community and offers state-of-the-art “Fiber to the Forest” technology to all homes. Holding Village is designed for kids, grown ups, and even the family pet. When it comes to new construction homes for sale in Wake Forest, Holding Village is proud to offer the best in modern living and outdoor fun. So what exactly makes this new community so great? Holding Village has been developed on land that was formerly the site of a dairy farm owned by the Holding family. This family played an active role in establishing the town of Wake Forest, and they also used their farm land as a place to gather and spend time with one another. This land was enjoyed by the Holding family so many years ago, and the developers of Holding Village have created a community where today’s families can find that same satisfaction. Let’s face it – there is just something entirely different about spending time with your children and loved ones outside versus sitting in front of the television with them. The community of Holding Village was designed with the idea of bringing people back together. Neighbors can gather on their front porches, and children can take a break from technology to run around and play outside. Some of the most unique and appealing aspects of these new construction homes in Wake Forest, NC are the outdoor amenities. While a lot of new communities being developed these days are solely focused on building as many houses as possible, Holding Village has been devoted to encouraging an active lifestyle. There is a pool pavilion, several parks and over 35 acres of open space for everyone to enjoy. You can go fishing at Holding Lake or spend the day hiking through the miles of nature trails. From tree swings to kayaking, there is an outdoor activity for everyone. While Holding Village has done everything possible to embrace the beauty of the outdoors, these new homes in Wake Forest, NC also offer the best in modern amenities and technological conveniences. All of the homes in Holding Village have 1G internet connections that provide ultra-high speeds to power all of your devices. Additionally, the community will feature homes from three of the area’s top builders. 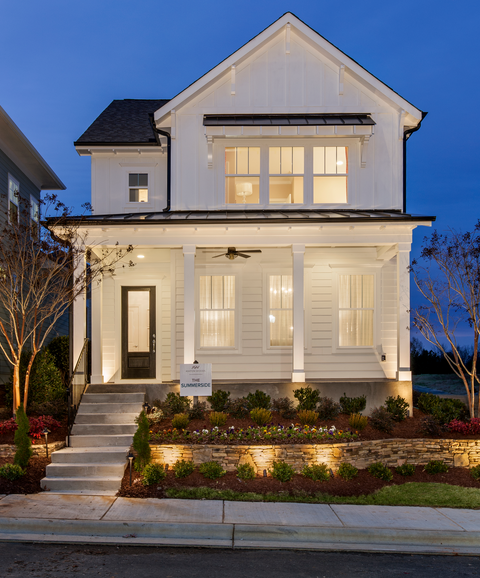 Ashton Woods is dedicated to collaborating with homeowners to come up with unique designs and implement personal details. John Wieland Homes and Neighborhoods is known for building luxurious and innovative homes. 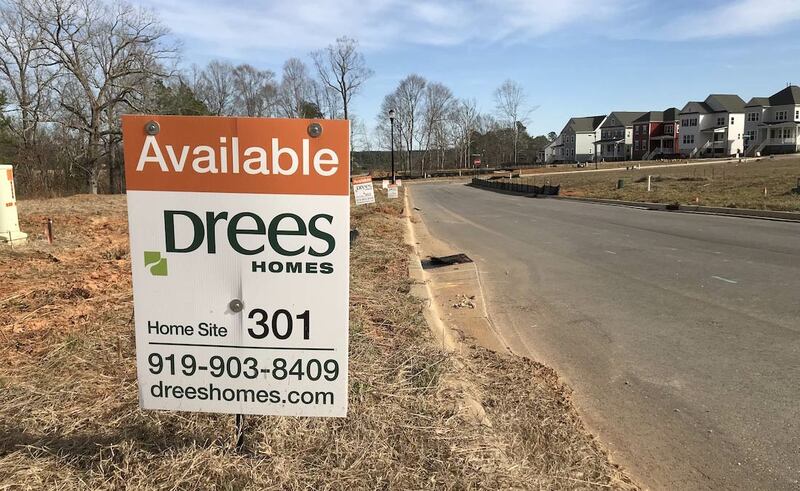 Drees Homes is committed to offering award-winning floor plans that are versatile and easy on the environment. All three of these home builders have several different floor plans available for the Wake Forest new homes in Holding Village. While Holding Village is an exceptional community, we also know that you are not going to spend all of your time there. Fortunately, the town of Wake Forest has plenty of great things to offer residents. Wake Forest is a unique area because it features plenty of conveniences and amenities without losing its small town charm. From boutiques to big name stores, you can get all of your shopping done in the Wake Forest area. There are also plenty of fun attractions for the whole family to enjoy, from attending concerts and exhibits at the Wake Forest Renaissance Centre to shopping on Saturday mornings at the Wake Forest Farmers Market. In addition, Wake Forest is located just north of the Triangle area - Raleigh, Durham, and Chapel Hill - which just adds to the selection of entertainment and jobs nearby. We understand that it can be overwhelming when you first start looking for new homes in Wake Forest, NC. The area is inviting and the people are friendly, so Wake Forest is a natural place to gravitate to during the house hunting process. With its emphasis on outdoor living and luxurious homes available, Holding Village has it all when it comes to Wake Forest new homes. With a front porch, swimming pool, parks, nature trails and modern conveniences all at your fingertips in Holding Village, what more could you need? World-renowned designers look beyond the conventional to draw inspiration from unexpected sources, resulting in exceptional design. Commitment to innovative design, thoughtful planning and complete customer satisfaction has won the confidence of homeowners. Enjoy the luxury of a personalized homebuilding experience with the help of a dedicated design consultant there to guide you as you pull all of the details together. Award-winning floor plans and endless customization options make it easy to get exactly what you want. Roam where you want to. Holding Village's first phase offers over 35 acres of open spaces and parks to enjoy, a sledding hill and overlook spaces perched above the lake. Our 3 miles of walking trails connects you to the Wake Forest greenway system and provides a much more scenic route to local schools and parks. Sign up for our bi-weekly emails to receive updates on Holding Village including move-in-ready homes and new construction homes in Wake Forest, amenity announcements and neighborhood events!